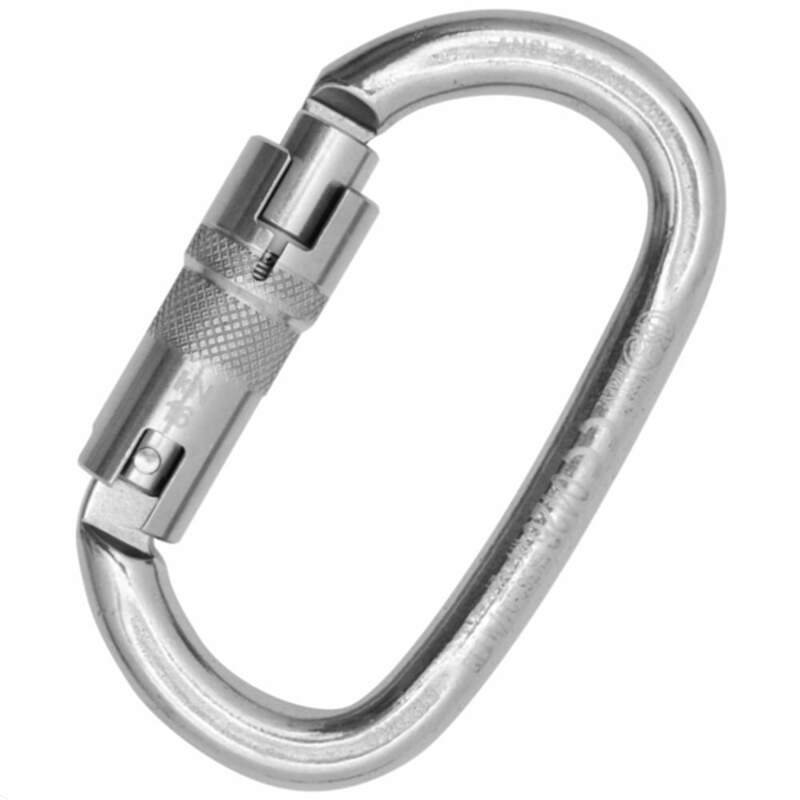 Oval carabiner made of stainless steel, wide-opening. Fitted with Auto Block sleeve 3 movements, reinforced sleeve that increase the resistance in case of lateral stress as required by ANSI norm. Max load of 27 KN. 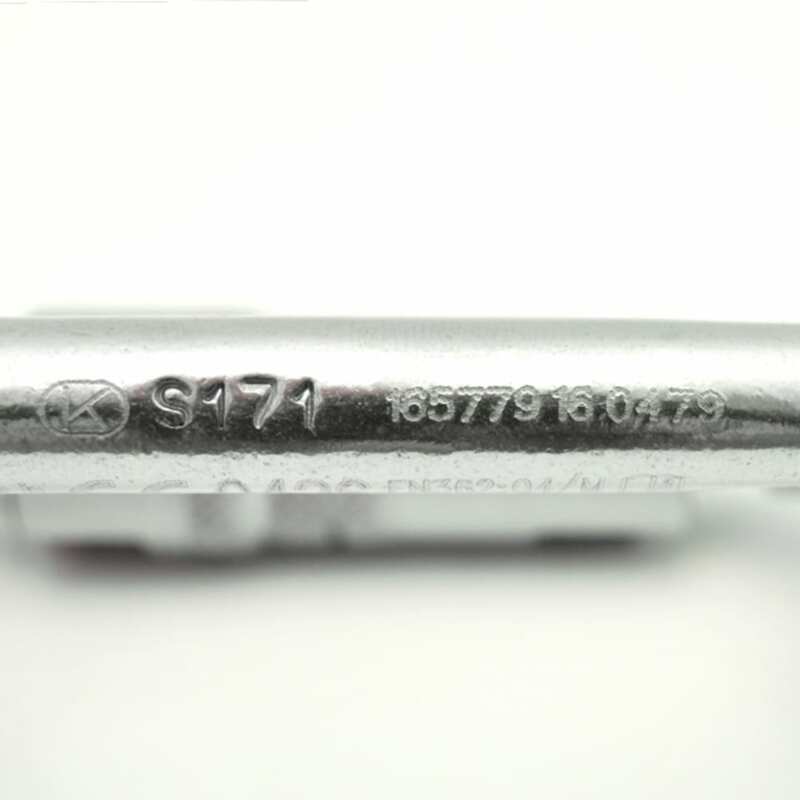 Conceived for heavy duty applications and for connection to structural anchor points, lifelines, etc.